The family and friends of Nancy Ho, the 25-year-old woman who was killed by a delivery truck driver while riding her bicycle on Mission Street in SoMa last month, came together recently to honor her life. Ho’s relatives and closest friends have been too grief-stricken to talk to us, but a college friend recently sent us an announcement about her memorial in Colma that was put together for her friends in New York, where she attended NYU. San Francisco police said Ho was traveling eastbound on Mission Street around 8:04 a.m. July 20 when she was hit by a Berkeley Farms truck while making a left turn onto Fremont Street. The truck had been traveling westbound. Lt. Troy Dangerfield said that the left turn is prohibited except for buses and taxis, and faulted Ho for the crash. Today, a spokesperson for SFPD, Officer Albie Esparza, said the case has been closed after a determination by investigators that Ho was at fault. The driver has been cleared and is not facing charges. When asked about whether the police report could be obtained, Esparza cited California Vehicle Code 20012, which he said meant that all “accident reports” are confidential, and not available to reporters. The California Public Records Act compels law enforcement agencies to release basic information about crashes to journalists and the public, but exempts police reports from disclosure. However, it does not prevent them from releasing reports if they so choose, but most agencies in California don’t, said Terry Francke, the executive director of Californians Aware. Ho was a sales representative for Marriott International, a writer and a freelance web designer, according to her Google + page. She studied international business at New York University from 2004-2008. 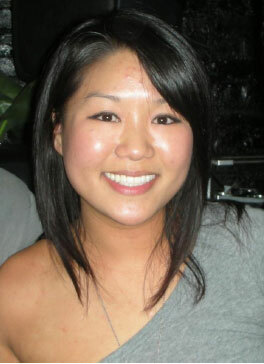 Nancy Suyin Ho was born April 4, 1986 in Mountain View, California to Ling May Chen and Ching Yen Ho. Nancy was a loving daughter, caring sister, faithful friend and devoted girlfriend. Her many interests and talents ranged from playing tennis to practicing piano, organ and clarinet to writing murder mysteries to designing websites. Nancy’s passion and joy for life was exemplified by her every action. She was well-read and well-informed. She always sought to share her knowledge with others, sending daily e-mails about the newest social media outlet, the state of American politics, or the world’s most expensive noodles. She was also dedicated to the preservation of the earth’s resources and active in energy conservation efforts. Nancy led a dynamic life and was always looking to the future. She loved meeting new people and exploring different cultures. After San Francisco, she planned on living and working in every continent, eventually settling in Barcelona and opening up her own lounge – she was a live music fanatic and often spoke of creating her own sounds and beats. What we will all remember about Nancy is her infectious smile and incredible energy. From her hot pink hair to her obsession with corned beef to her distaste for pants, Nancy lived life exactly how she wanted. Her charisma, spontaneity, and strength inspired us all. I’m not familiar with this intersections. Are the streets clear that left turns are allowed for some vehicles, but not for bicycles? Left turn for Muni and taxi only. However, I’ll just leave this here. I am sad for the truck driver, too. I saw him right after the accident and he looked absolutely devastated. This Google Maps photo of the intersection would show the bicyclist’s view going east (north) on Mission before making the illegal left turn. You can see the “No Left Turns” sign on the right-hand side of the screen above the SamTrans bus. There’s also another sign on the opposite side of the intersection. Many physical injuries heal faster and better than something such as PTSD does. @smushmoth:disqus What are you trying to say? can’t understand how police reports are not part of the public record. and can’t understand how this collision could have happened. is it just legal to run someone over if they move in front of you? even if the maneuver was technically illegal? what was the truck driver looking at? he obviously wasn’t looking at the road. brutal place. You sounded as if the driver want to hit the cyclist, which I think it is inconsiderate. There are issues in terms of whether the driver could expect someone make the left turn, and whether the driver has enough time to react, and whether the vehicle can brake fast enough to prevent the collision. How many people have to die before the City’s downtown street improvements include bike lanes?